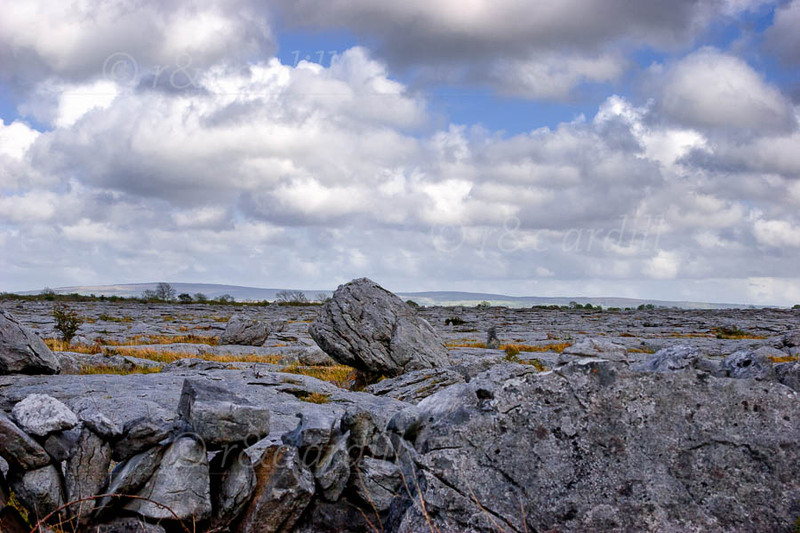 A typical view of the ancient walls and limestone slabs of the Burren with its grikes and clints. The large bolders are erratics left over from the retreating ice-age glaciers. The Burren is renowned for its plants and animals, many of which are unique to the area.